About a year ago, Uzi wrote about the “chore” of topping off. Back then we only had 2 half barrels in our home cellar and 4 barrels at the winery to worry about. 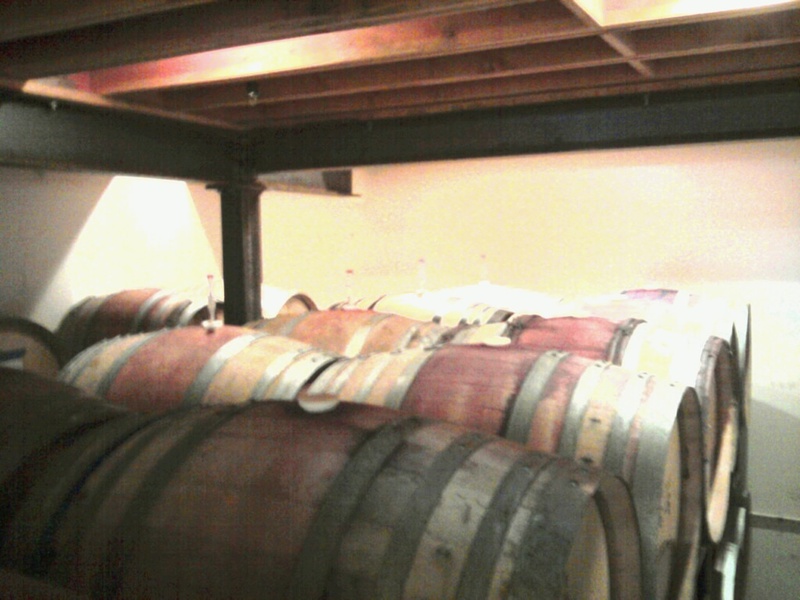 This year we have 17 barrels at the winery to stir and top. While we still don’t see it as a chore, it is a bit more work. They are stacked two high in the back of the barrel room and special maneuvers are required to properly stir the lees and top off the barrel without overflowing. But it is still a great opportunity to smell and taste the wine and to, for lack of a better word, touch base with the wine…even while it is resting snugly in the barrel. Merry Xmas and Happy holidays to you and your family. I will be in Sanjose this xmas, will see if we can make it. Hi Raghu, thanks for the comment and Happy Holiday to you and your family! Discovered this blog through Bill Daley over on Twitter. Love what you’re doing with your blog, and I’ll keep an eye out for your wine. Is it sold anywhere in Chicago? Thx, glad you like our blog! Once our allocation list orders are fulfilled, 2008 Stomping Girl Pinot Noir will be released for sale–likely this February. At this early stage, our wine is available on our website, http://www.stompinggirlwines.com, and we can ship to customers in Chicago. Soon we hope to be in select retail locations and restaurants in your area, too!